You opinion matters! Please send a letter to the Beacon’s readers expressing your thoughts on any local matters. Our readers want and need to hear your voice! 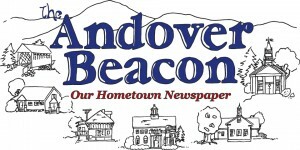 The mission of The Andover Beacon is to serve and strengthen the Andover community. To that end, we welcome civil, reasoned letters addressing specifically local issues, events, and developments. Submissions must not be critical of another’s religion; blasphemous; obscene; hateful; legally objectionable; or commercial in nature. The Beacon reserves the right to edit or not publish submissions it deems inappropriate for any reason. Send your letter to Articles@nullAndoverBeacon.com.